Calling all CWC members, the Golf Tournament is coming! Please note we have moved the event to a Friday instead of a Sunday based on feedback from a number of our corporate sponsors. We are trying to accommodate their request this year by trying a new format. 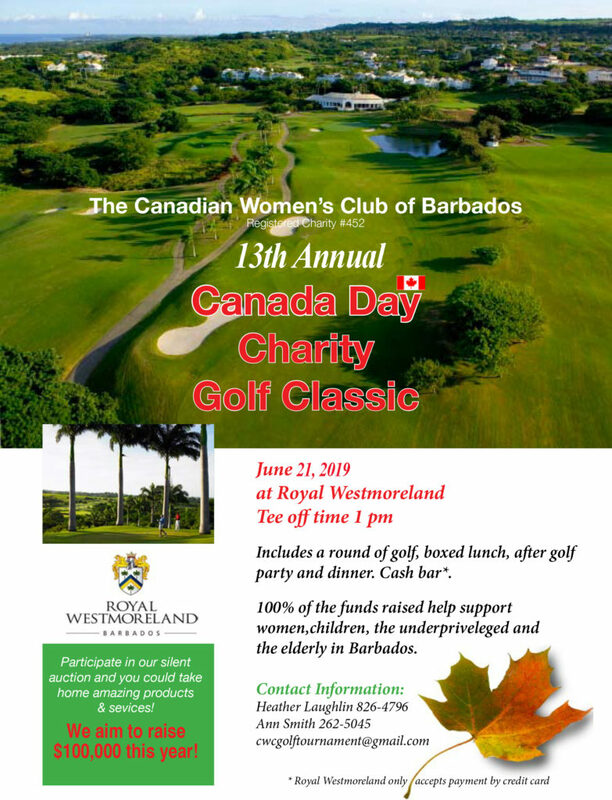 The Tournament will be held at Royal Westmoreland again this year and tee off time will be at 1pm. Please pass along the flyer and let us know if someone is interested so we can forward a registration form to them. The team is looking forward to a really successful fundraising tournament this year! As you know, this is the CWC’s only Fundraiser so we need YOUR help to make this event a success. If you can offer your assistance, either beforehand or on the day itself, please let us know! Thank you!